Dude, Where is My Favorite AutoCAD Command? Have you ever upgraded your software and things were not exactly where they were in the previous release? Where is that command I use all the time? It was right there? I just cannot find it anywhere on the Ribbon! Many users I have talked with load up the menu bar and never even take a look at the application menu (the big red A).The AutoCAD Application menu is a great way to find a command if you cannot locate it on the Ribbon. Select the application menu as shown in Figure 1. First let’s take a look at some of the basic functions of the menu. I have highlighted items 1 -3 below in Figure 2. When selecting item 1 you will have an ordered list of documents that you had recently opened. Hint: You can control the number of documents to be recently displayed by going into the options menu and setting that number. 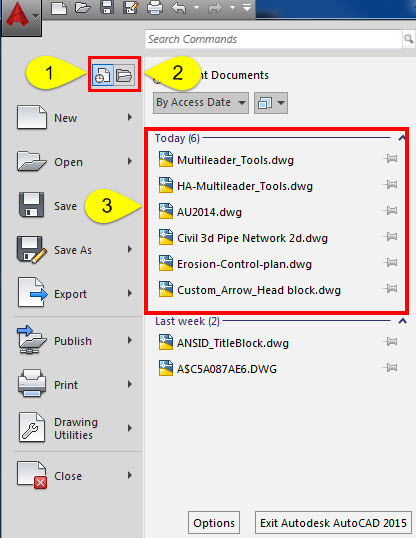 After selecting item 2 AutoCAD will display the documents that you have currently open. Lastly, item 3 is the window area where all of your documents you recently opened can be viewed as a thumbnail (by hovering) or opened by selecting the document. 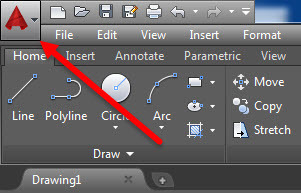 The pane on the left will give you some standard AutoCAD file management tools including drawing settings and export. Now on to the topic of this post. Let’s say you just cannot find your favorite command on the Ribbon. Type the command you are looking for in the search window of the application menu and like magic you have a list of all locations for that command including a best match. For this example we typed the Move command. 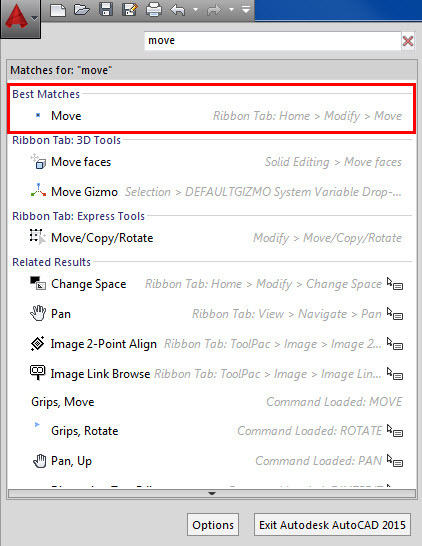 As shown in Figure 3, the move command can be found on the Ribbon Home Tab-Modify Panel-Move. The application menu also gives you other alternatives or related results with the move command involved. Review and look through the menu and see the power behind being able to find and access information that may have been lost in the upgrade. I will be teaching two classes at Autodesk University 2014 in December this year. My first class is a hands on lab using the Sheet Set Manager in AutoCAD. I have always believed in the power and efficiency of the Sheet Set Manger and will teach a hands on lab named: No Sheet! You can do that with the SSM in Autodesk AutoCAD. 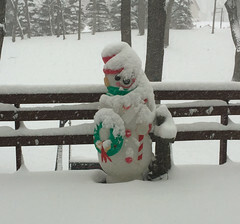 I plan to setup a project with you and go through some of the benefits of using the Sheet Set Manager. My second class: Mighty Macros: Pumping Up Productivity One Character at a Time: In this session we will go through the action recorder, tool palettes and finally dive into the CUI to pull out some code and create some cool new macros that you can use back at the office to make your every day design and drafting just a bit easier. I look forward to meeting new friends and colleagues at AU2014 in December. See you in Vegas! Thank you for how to relocate my favorite commands. I do have this issue and so it was timely. 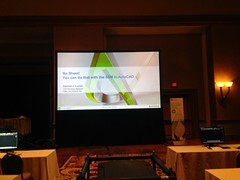 This is the first time I ma hearing about AutoDesk University. Looks interesting and may have to check it out. Thank you. 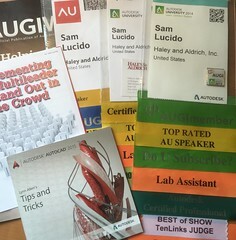 Autodesk University is one of the best events to learn and network with your peers. 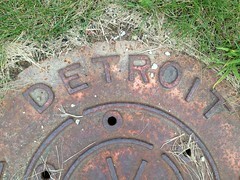 Log into the website and view the class recordings and download training material. Great resource for leaning.